One chilly Saturday afternoon in November, approximately 60 people gathered at Tribe restaurant in Shanghai for a talk organized by Vegans of Shanghai, an English-focused grassroots outreach platform that started off as a WeChat group in the summer of 2016. Of the attendees, only seven were vegans – strict vegetarians who consume no food (such as meat, eggs, or dairy products) that comes from animals, and who abstain from using animal products (such as leather). A term coined by the UK-based Vegan Society co-founder Donald Watson in 1944, the concept of veganism has in recent years been gathering steam in the West, with public figures like Al Gore, Ariana Grande, Natalie Portman and Venus Williams all adopting the diet for animal welfare, environmental or health-related reasons. At the event, speakers from two animal welfare advocacy groups shared with the audience facts about gruesome industrial farming practices, including how dairy cows experience multiple forced impregnations throughout their lifetimes in order to produce as much milk as possible, and how hens spend their whole lives locked inside a cage the length and width of an A4-sized paper to lay eggs. As someone who’s neither a vegetarian nor a vegan, the shock factor momentarily pushed me to rethink my dietary habits. But, just how practical is it to live as a vegan in China, a country where eating meat is so ingrained in its culture? Though no official statistics are available, 50 million people in China are believed to be vegetarians or vegans. While the number may seem substantial, it’s only about four percent of the population – a miniscule proportion compared to India, where nearly 30 percent of its citizens observe a meat-free diet, according to a 2016 census report by the Indian government. "There’s a fine line between trying to raise awareness in veganism and being disrespectful... Food choices are part of someone’s cultural and personal identity"
Originally from Chennai, Vegans of Shanghai (VoS) founder Samyuktha ‘Eve’ Thyagarajan has lived in five cities and countries since she became vegan in 2013. While she’s never had any problems satisfying her dietary needs when dining out in Shanghai – a city that she’s called home for nearly two years – preaching the benefits of Western veganism in China has been a more complicated mission. “There’s a fine line between trying to raise awareness in veganism and being disrespectful to someone [who’s not a vegan]. Food choices are part of someone’s cultural and personal identity; you can’t just go up to a Chinese person and tell them eating pork is bad,” she says. Even within the vegetarian community, Eve explains, talking about the cruelty of practices in the dairy and egg industries would raise some eyebrows, and that was the main reason why she started the VoS WeChat group, which has now expanded to two English-speaking groups (with 500 members each) and one Chinese group (about 200 members). Its official account has just over 1,000 followers. Spreading veganism to a Chinese audience has its difficulties, too. For the Beijing-based Veg Planet, one of the biggest Chinese online platforms for vegetarians with 300,000 WeChat followers across China, explaining the differences between the various factions of vegetarians is a big task. In Chinese language, the words for vegetarian (素食, sushi) and vegan (纯素, chunsu – or ‘strict vegetarian’) are very similar, while many Chinese Buddhists adopt a diet called jingsu (净素), where items like garlic, chive and onion are off limits. Xu Lei, who’s the co-founder and COO of Veg Planet, believes that the best way to educate the public is through a soft approach that most people can relate to. Besides their daily WeChat and web articles showcasing the joys and benefits of a plant-based diet and lifestyle, Veg Planet also hosts cooking workshops and pop-up vegetarian/vegan dinners in partnership with mainstream restaurants. The goal is to be as inclusive and approachable as possible for people who have no idea how to go about adopting a plant-based diet. Erica Huang, the founder of Beijing’s Farm to Neighbors (F2N) Market, agrees. 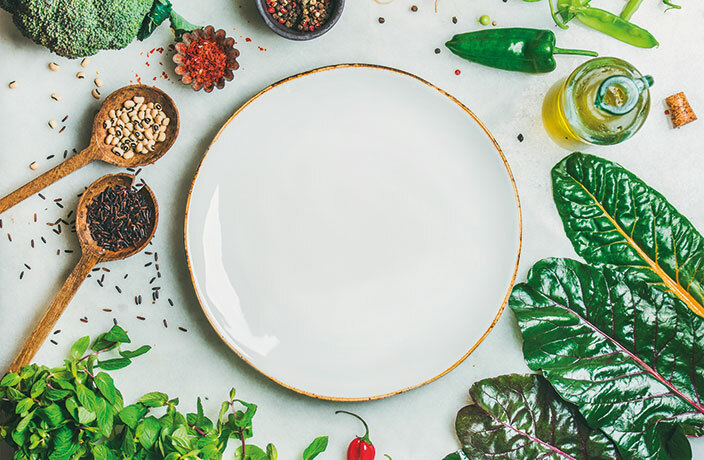 A flexitarian herself (one who follows a plant-based diet with the occasional inclusion of meat), she’s adopted the idea of “eat less meat” as one of her main initiatives at the heart of F2N. Vegans of Shanghai’s Eve adds that while educating the public on the harm that industrial farming does to animals and the environment is important, China’s lack of animal welfare laws makes it difficult to push the idea beyond rhetoric. Instead, she thinks a solution-based ‘preaching method’ through an initiative of “veganizing restaurants” – or advocating for restaurants to serve vegan items on their menus – is a crucial part of the two-pronged approach. At the November VoS talk, Tribe was also launching a full vegan menu for attendees who were staying behind for dinner. In the past year, VoS has also worked with Maya and Organic Kitchen to come up with similar offerings. Maya, for instance, has already made the vegan menu a permanent staple for the past eight months. These optimistic signs are also happening in major cities across the country too, where many establishments have now added indicators for menu items that are vegetarian or vegan friendly. Shanghai's first event for eco-conscious meat lovers will be held on Saturday April 27. Small plates for the entire family. Here's a roundup of some of the best dining promotions for a romantic Valentine's Day 2019 dinner in Shanghai. If you're craving a little bit of sunshine and some authentic Italian, Favorita is the place to go. Get a jump-start on your grocery shopping this week with this unbeatable offer on vegan items from Kate & Kimi.